A player who will later be deemed good enough for professional football will surely have no trouble getting into a university team, right? Well, not if you are Tom Meechan. As a fresh-faced teen new to the University of Birmingham, the striker turned up to mass football try-outs where, no matter how terrible you are, if you pay a fiver you can take a punt at joining one of the university's official teams. But, drowned out in a sea of mediocrity and hangovers, he failed to make the cut and was not asked back. Wind the clock forward a few years and the 25-year-old has just joined League Two side Newport County. "I should think some of them will probably be quite surprised," Meechan said of those that missed him at that trial. Eventually, at another trial at Christmas, the sports and exercise science student smashed in a volley to make his seniors sit up and take notice - but only so much for the third team. His goals helped them win the title, but he never made the step up any higher than the second team. "We always said 'how is Tom Meechan not playing for the first team? '," said former team-mate Sam Brown. "No matter what level you play at, if you have the ability to score, that counts. Tom always scored, he never missed one-on-ones, he anticipated the ball well, he's so quick and he's just got a natural eye for goal." So why did he not make the cut? At most universities, there will always be a handful of people that have dropped out of professional teams' academies. One of Meechan's contemporaries was former Arsenal schoolboy Christian Burgess, who was picked up by Middlesbrough while studying for a history degree and now plays for Portsmouth, in the same division as Newport. Names like the Gunners on your CV will certainly help your reputation when it comes to choosing which team you will play for, but Brown added the team's success may have also held him back. "We just got in such a natural rhythm of scoring that it probably was that we didn't really want to let him go to the first team," he said. And how does Meechan think he would have done if given a chance in the first team? "I scored quite a few goals for the second and third team, but never really had a chance to play in the first team," he said. "I think if I had, I'd have done alright." After finishing his degree, he did a PGCE conversion course to become a high school maths teacher in Cambridgeshire, where he combined his work with a fledgling non-league football career for Godmanchester Rovers, St Ives Town and St Neots. "To start a teaching career is quite hectic," he said. "Training during my PGCE year and being first year as a teacher, it was quite difficult to juggle playing football at the same time, with all the travelling and everything involved in that. "I think I will miss teaching, I did really enjoy it, but it's too good an opportunity to turn down to become a footballer." 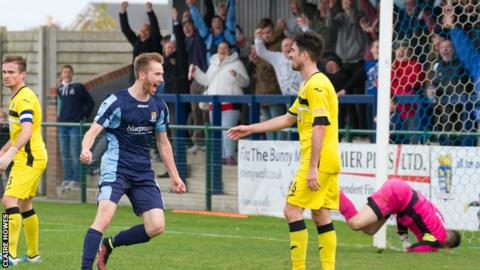 After Meechan scored a staggering 53 goals in a season for Thurlow Nunn League Premier Division side Godmanchester, he moved to seventh-tier club St Neots. Despite the step up, again his goalscoring record - a division-leading 21 - caught the attention of Football League clubs and, amid interest from other teams, he joined Warren Feeney's Newport. Meechan's move has a few shades of Conor Washington in it, to say the least. Washington joined the Exiles from one of Meechan's former clubs, St Ives, albeit at a younger age, before moving to Peterborough and then being sold to Championship side QPR for a reported £2.5m. "It's obviously a similar story, particularly with Conor being from the same area," said Meechan. "One of the pulls of joining Newport was their ability to develop players and some have gone on to bigger clubs from there. "It's a bit surreal at the moment going into training every day and just living the life of a footballer. It's very different to what I was used to. "It's a huge step going three leagues up halfway through the season. So for the rest of the season, I'm just going to go into training, work hard and see what happens from there. "Hopefully I can repay the faith Newport have shown in me when they purchased me." That is faith that the University of Birmingham first team probably wish they had had.